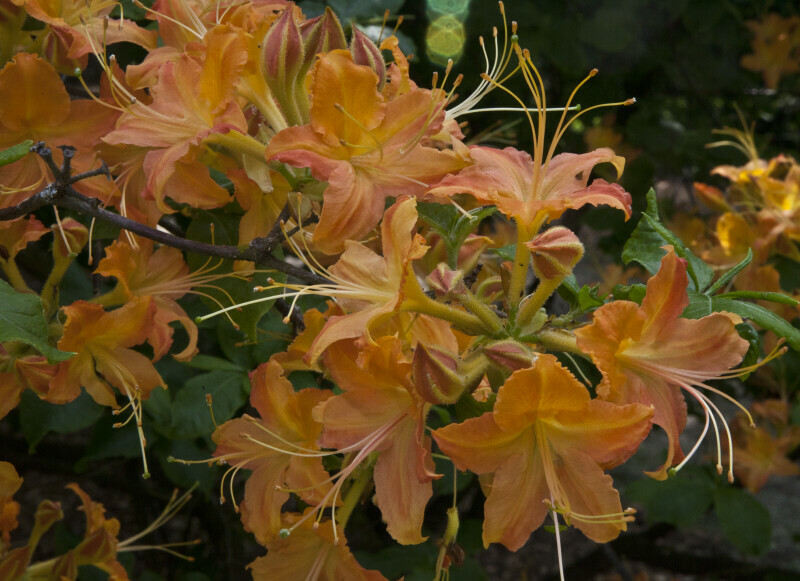 Azalea flowers with long filaments and styles extending from their centers. The difference between the filaments and styles is that the filaments have an orange-colored tip called an anther while the styles have a green-colored tip called a stigma. The stigma receives pollen while the anther produces it. This photo was taken at the Arnold Arboretum of Harvard University.